First of all, Kevin Jerome Everson’s Park Lanes is a conceptual coup. It might be the best response to the Lumières’ earliest factory films this side of the 20th century, and a pertinent update to Harun Farocki’s work on the same subject. Unlike the Lumières’ films, there are not scores of workers pouring out of the factory at the end of day’s work. Nevertheless, the political, psychological and social transition that the exit from the work place represents – a transition that Farocki magnificently examines in his 1995 video project – persists in all its contrast. It’s well past the sunrise by the time the workers in Park Lanes leave the floor, and the blinding sunlight that awaits them at the gates directly impresses upon us the idea of a personal life beyond the threshold. Having his film play out over a duration equal to the legislated eight-hour work day gives Everson a chance to establish a number of interesting parallels between industrial labour and filmmaking, an equivalence that avant-garde filmmakers have time and again emphasized. For one, shooting with the camera held in his hand, and not using a tripod, for almost the entire duration, Everson is, in fact, involved in manual labour. Secondly, Everson, like the workers, is handling raw material for his work whose final shape he will not be able to see right away, though he might have a general idea of it in mind. Further, the film’s structure is defined by the structure of the work on the factory floor. We are taken through various sections of the factory dealing with bowling alley equipment. We do not see how each of the tasks segues into the next or how it fits into the overall final product – which I think is how the film is also organized. We synthetically piece together the work flow as much as the film and its spaces. Moreover, I could sense a lack of transparency between Everson and the workers. Granted that the workers know and comment upon the director’s and the camera’s presence and Everson’s shooting at eye level intelligently preempts any similarity to surveillance aesthetic, but for long stretches of the film, the workers perform their everyday duty as if the camera’s presence didn’t matter, which I think is pretty impossible. I insist that there is nothing exploitative about this, at least not more than what is involved in the workers working in the factory in the first place, but the discrepancy between this obviously intrusive alien presence and the seeming normality of proceedings crops up to my mind as an unaccounted variable. The film appears to have been shot with a relatively long lens, which results in a shallow field that helps Everson focus on either faces or hands or the objects and instruments of the factory. This, of course, has practical benefits of avoiding disturbances in the near field of the camera and being able to be at a distance from the work site and give the workers and the filmmaker some maneuvering space. And perhaps there is an ethical point to be made there. I admit I found Park Lanes very difficult to watch, unlike similar films by Sharon Lockhart and Denis Côté. True that the smaller runtime is a factor, but I think that the ease of watching has more to do with the latter filmmakers’ direct and transparent aesthetic intervention into their material. Park Lanes is insistent upon not judging or even describing what it is showing. On one hand, this approach confronts us with the relentless, ritualistic, meditative and, at times, comforting simplicity of industrial labour today, allowing us heartwarming glimpses of multicultural utopianism and unfeigned proletariat camaraderie. At the same time, the multiple fields of inquiry that the film’s lack of commentary opens up appear to me to neutralize each other. We don’t know whether to read many of the passages from a political or a humanistic standpoint. 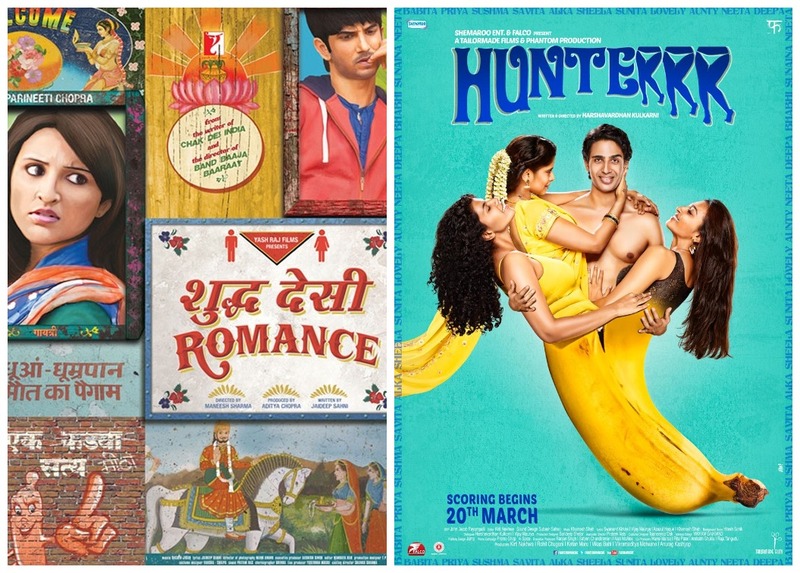 Long stretches of the film depicting monotonous work in a space that employs safety measures and has advanced equipment go in internecine counterpoint with the recesses in which the workers are enjoying movies on tablets and smart phones. We don’t know what they earn. We don’t know if they are in a union and whether they want to be in one either. I must clarify that I am not arguing for pigeonholing the worker experience into an overarching Manichean thesis. I’m trying to say that I think the film conflates a kind of non-judgmental presentation of reality as it is with a nuanced irreducible perspective. The various elements of the film seemed to me to go off on tangents rather than dialectically conversing with each other. Perhaps an analogy from photography would help me articulate better. The opposite of capturing a scene in shallow focus and reducing it to a Grand Theory is not capturing everything in deep focus. It is to use the deep focus to relate the foreground to the background in ways that couldn’t be expressed by each of them individually. By subtracting personal subjectivity altogether, Everson renders the film subject-less. Finally, I do think the film is not as rigorous as it should have been. Besides the demands placed by the framing concept, the length of many sequences – length of each one in itself but also in comparison to the others – does not seem to be justified, if I may be allowed to say so. There is a two-minute shot of a bunch of bowling pins towards the very end. Though that duration is next to nothing for an eight-hour movie, I can’t see the motivation for such a slack shot. Are we expected to ponder on the ontological nature of bowling pins? I know better than to try and hold a filmmaker intellectually responsible for all his decisions, but I’m beginning to wonder whether the freedom from considerations of resourcefulness, economy and preplanning that digital cinema offers has also started impacting directorial intuition for the worse. Paapanasam’s director Jeethu Joseph likes a few things. He likes the fade. He likes the Jimmy Jib. He likes filming his female actors in decreasing order of height. He likes the chimerical simple life. He likes the family. And boy, does he like the family? His film leisurely introduces us to the life of Suyambulingam (Kamal Haasan), a fifty-ish cable TV operator who spends nights at his office watching movies, away from his wife and two daughters – an effective enough shorthand for a middle-aged everyman whose love life is as unyielding as his wallet and who channels his libido onto cinema in ways more than one. So that’s what Paapanasam is – an elaborate odyssey for Suyambu to reassert masculinity, exacerbated it is as much by his perceived lack of education as by his age, and take the reins of his family. (It is one of those therapeutic films which entertain the trivial possibility that the whole narrative takes place inside the protagonist’s head to serve as an antidote to a fear or a lack – a direct parallel to the filmmaking endeavour itself.) And there lies the biggest strength of this rare thriller that is unapologetic and conscious of which value system is at the wheel. The family is paramount in Paapanasam, the engine that runs the world, the institute meriting the highest priority, more than friendship, religion, law and even the individual itself. Sure, it’s a reactionary text, asserting patriarchy’s enterprise, rigour and sense of order prevailing over matriarchy’s apparent laxity, but there’s a sense of something well thought through unfolding before us instead of the unintentionally muddled politics of many a modern movie. It is a film that at least knows which god it is prostrating itself before – the phallus in this case – and I think this clarity deserves something other than outright condemnation. The definition above is interesting – and crucial for the remainder of the book – both in terms of the individuals whom it characterizes as “internet cinephiles” and those it excludes through such a specific formulation. For one, it ascribes the cinephile label to those who are involved in the production, dissemination or consumption of ‘texts’ about films online – a cross-section that, whether we like to think of it that way or not, wields the privilege of language. On the other hand, the coinage leaves out not only the vast demographic obsessive film-watchers not involved in film-critical discourse (including film tribes and sub-cultures such as anime fandom), but also those who might be labeled the “cinephilic working class” – people and groups involved in alternate forms of distribution of films: hosts and seeders of torrent trackers, unorganized bootleggers, uploaders of rare VHS and TV rips and voluntary subtitlers, who are, in fact, the players responsible for the reincarnation of New Cinephilia as a global phenomenon. This underclass, as it were, is almost single-handedly responsible for the geographic and intellectual expansion of cinephilia in not only multiplying the breadth of material available to movie-lovers but also providing access to such material to cultures and regions without alternate distributors, arthouses, film societies, festivals or film discourse. Personal experience convinces me that the torrent is the most prominent birthmark of the internet cinephile. One, that cinephilia in the 21st century, I think, has become a glorified form of consumerism. Not just in the way it facilitates the circulation of material commodities like DVDs, but in its very ratification of the desire to watch as many films as possible, in its insistence on the investment, in terms of time, energy or money, in practicing cinephilia. There was a time that I used to naively think that my cinephilia set me apart from more direct materialist pursuits around me because (a) I don’t collect films as objects and that they are an ‘experience’ (b) it is art appreciation and not consumerism. But it dawned on me, as it dawns sooner or later on anyone willing to think critically, that investing in experiences is the most rampant form of consumerism today. (I am thinking particularly of the valorization of tourism, extreme sports and social networking). I realized that I approached cinema more or less the way people around me were approaching electronic gadgets. I hear people talking about the history of a particular mobile phone, comparing it with its predecessors, appreciating its ergonomics and locating it within a historical trend and I see in it a equivalent to the commodified form of auteurism that the internet cinephiles have bought into en masse. Auteurs are brand names and wanting to consume their films seems to me to be little different from wanting to try out the next hot gadget. Commodity fetish, that was once a domain of material objects, is now displaced on to experiences, art experience in particular. Given that any film now is just minutes away from access, having missed out on a good film, new or classic, is considered an embarrassment and a reason for not being able to get into discussion circles. Obsessive shopping is denigrated while binge-watching is considered a reflection of one’s passion. And two, that 21st century cinephilia is a direct descendent of the rise of nerd culture. I have been in programming circles, quizzing circles and cinephile circles – the major planets in the geek galaxy – and they are all united by their near-total absence of women. 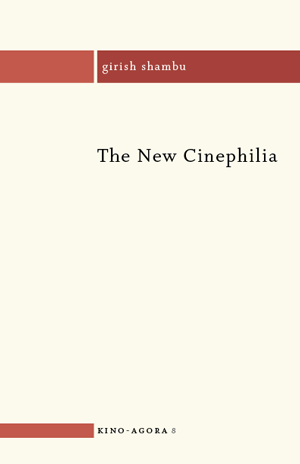 The new cinephilia (the only one I have experienced), not just the mainstream version of it, in its rapacious movie-watching, choleric debates and obsession of canonizing and classification feels to me to be characterized by a typically straight, young, male aggressiveness. This cinephilia, unlike the other honest, self-styled nerd groups, has the advantage of seeming to transcend geek culture under the garb of being a higher, more mature pursuit. The stereotype of the New Cinephile being an unkempt omega male in his early twenties, intelligent, atheist, left-leaning, piracy-supporting, career-agnostic, philosophy-loving social misfit derives from a general taxonomy of geeks, but is not without a modicum of truth. Reading many perceptive commentaries about what is now called the “millennial generation”, of which I am most certainly a part, I realize that cinephilia is the direct offspring of this tectonic geek-oriented generational/cultural shift. To have continued to write into the ’90s with no account taken of the advances made in our ways of thinking about spectatorship, perception, and reception meant that [Kael] ceased to renew her intellectual capital, to acknowledge and profit by the achievements of a huge collective effort. And so her writing, unrefreshed, grew thinner, coarser, stale. Now, I have neither read the roundtable in its entirety, nor Kael extensively. But the excerpt above seems to suggest that film criticism has an intellectual obligation to learn from film studies. At the risk of antagonizing readers from academic background, I venture to suggest that film criticism has as much obligation to learn from film academia as experimental filmmaking has to learn from genre cinema. To be clear, I am not saying that film criticism has nothing to gather from film studies. Achievements of film theory can clear much rudimentary ground for film criticism by avoiding the need to reinvent the wheel. But the finest film criticism works in a territory that academia has not yet explored. In my mind, film criticism is the avant-garde to the arrière-garde of film studies, the punctum to the studium of scholarship. It must work on aspects of film that have not yet been theorized and institutionalized, that are untheorizable even. While most scholarship treats films as fodder for validating and perpetuating sacred theoretical frameworks, much like Thomas Kuhn’s scientific paradigms, film criticism takes each film primarily as an autonomous art object and derives from the object the analytical tools necessary for discussing it, which may or may not be found in film theory toolkit. I cannot imagine any consistent ‘method’ or ‘system’ of film criticism that will not undermine its essential openness to being surprised and rendered speechless by the art object. Every act of film criticism is like a surgery – always haunted by the risk of failure, always at the risk of discovering something ineffable. No matter how well you institutionalize it, there is always a good possibility that the best critical work comes from outside the establishment. What’s most exciting about film criticism in the internet age is that it is truly democratic: the best criticism can come from the most unexpected quarters, from personalities without any history or credentials in film criticism or studies. It is in this quality of perennially being a level playing field for film criticism that 21st century cinephilia is most promising, rejects as it does both the intellectual priesthood of the academia and the oligarchic taste-making of print criticism. It’s hard for me to imagine how the dominant, non-formalist form of film studies, with its systemic handicap of abstaining from value judgment and not being able to treat the film as an independent aesthetic object capable of producing an infinite variety of affects, can be terribly instructive for the enterprise of film criticism, which necessarily calls for a hierarchy of values on the part of the practitioner and his/her acknowledgement being a sentient, unique subject capable of being transformed by the film. (Presumably to show that this is indeed possible, Girish, taking the example of Tom Gunning’s study of Fritz Lang’s films. tells us how theoretical research and film scholarship has demystified the romantic conception of the artist as an endowed being and challenged auteur theory’s far-flung claims. But then, it speaks only of an awkward state of film criticism if it requires film studies to disabuse it of artistic mythmaking.) These disagreements, rather than being drawbacks, are precisely what make the book so interesting to read because, to me, the book is a logical extension of Girish’s work at his blog, where such disagreements and conversations take place all the time. I can imagine making the same comments at his blog had the material of the book unfolded as a series of blog posts. And true to the spirit of his style of posting, the book is an ideal déclencheur, a trigger to get conversation going. That’s more than a good reason to get to it. The deal with Zindagi Na Milegi Dobara is not bad; for the price of one ticket you get a 150-minute Tourist’s Guide to Spain, a parade of supernaturally-beautiful bodies and a good amount of dime-store philosophy. It’s a bit like window-shopping in malls – you know you can’t afford these things, you know they are not good for you, but you just can’t take your eyes off them. Zoya Akhtar’s second feature film revolves around three well-off bachelors each of whom is battling some sort of repression and who would liberate themselves over a three-week European road trip. It would be crude to attack this film – or any other – on the basis that it talks about the problems of the rich, isolated from the existence of the overwhelming majority. Sorrow, after all, knows no class. As long as such a work doesn’t become blind to values beyond its immediate context, I think there is little reason to object to its existence. Akhtar makes it amply clear at the outset that this is a film of, by and, most importantly, for the privileged and that all the wisdom it offers applies to those who have the luxury to indulge in them. So, at least, this is not an entirely dishonest or misguided project. Yes, it’s woven around the stereotype that men have trouble articulating their emotions and that it takes a Manic Pixie Dream Girl no less attractive than Katrina Kaif to snap them out of their hang-ups. And a trip to Spain. Nonetheless, the director takes pains to point out that the adventure sports that the three men play to overcome their inhibition is not an expression of masculine reassertion, accompanied nearly always as they are by at least one woman, but a contact with their vulnerable side. Like her brother’s debut film, Akhtar’s is a “guys’ movie”, but it regularly teases out values that are generally absent in this kind of cinema. Awkward moments that are typically dissolved by man-child humour are allowed to play out freely. On the other hand, despite the impressive sport sequences and the instantly beautifying quality of continental light, ZNMD has an impoverished visual vocabulary consisting of an endless series of close-ups, two-shots and three-shots that is ultimately rather exhausting. Oh, and what Thom Andersen said about personal filmmaking. Director Shimit Amin’s instinctive love for the underdog and screenwriter Jaideep Sahni’s seeming distaste for Big Business come together in Rocket Singh – a movie that is as perceptive and entertaining as it is naïve and predictable. It’s Rocky for the Generation Sell that pits corporate rapacity against homespun entrepreneurship. Ranbir Kapoor plays Hapreet – a barely-adequate everyman who tries to make his way through modern professional landscape – with great intelligence, internalizing the character’s religious repression, his lack of parental identification and the subsequent absence of retributive masculinity. Amin’s cheesecake aesthetic, on the other hand, recalls Wes Anderson and Edgar Wright in equal measure, with its geometric mise en scène, affinity for strong horizontals, the easy-on-the-eye symmetric composition, shrewd visual detailing and, especially, the sprightly editing, which telescopes actions with split second shots while letting conversations take their own pace. The office and its peripheral spaces are moral zones in Rocket Singh that define and delimit character behaviour. The workplace here is a veritable battle field – a characteristically male playground – fraught with surveillance and territorial dispute. (The cubicles’ layout itself reminds us of trench warfare.) The film succeeds in conveying to a good extent the crushing power of concentrated capital. And Amin is capable of fine subtlety, as is clear from the honesty and pronounced everyday quality of some of the sequences. But he is equally prone to repetition and overemphasis. Rocket Singh is a film that wants to put a human face on commercial enterprise, and it’s unable to understand corporate ruthlessness without putting grimacing human faces on to it. It appears to be unaware that modern offices are exactly what it laments they aren’t – employee-friendly, customer-oriented and rewarding of new ideas. Perhaps it makes for better drama this way. But it also immunizes its object of critique by characterizing its fallibility as product of human misconduct – big businesses are corrupt because the people running them are. Hapreet advices his boss towards the end: “Business is not numbers, business is people.” Guess what, that’s what every CEO says too. PS: I admit I had fun throughout trying to guess what colour turban Ranbir Kapoor will come wearing next. Raj Kumar Gupta’s breakout debut, an adaptation of the Filipino-American indie Cavite (2005), starts off like a post-9/11, Hitchcockian wrong man thriller about an expatriate physician, Aamir (Rajeev Khandelwal), who returns to Mumbai only to be swept into a terrorist enterprise. Like Ghanchakkar (2013), the film presents to us the pathetic spectacle of a self-identity progressively disappearing. Aamir is a liberal, middle-class, rather unmarked Muslim who believes that a man makes his own life through hard work, until he is shoved into a tour of underprivileged Mumbai and an acknowledgement of his privileged upbringing. Through a grim series of manipulated tasks, he is forced to see the society from the fringe, to acknowledge the existence of people who invisibly shape his existence and to be an outsider in his own country. Gupta constructs his sequences tautly, without injecting adrenaline too artificially and without any major blunder except Amit Trivedi’s score. His film’s aesthetic of surveillance resembles that of Kathryn Bigelow, with a number of POV shots of Aamir from the viewpoint of the city’s buildings and inhabitants, and broadcasts the precise feeling of being monitored. The slow-motion, too, is used very effectively, in providing the audience not only with a breather to absorb the moral gravity of a scene but also the protagonist’s experience of being in the interminable now. Gupta’s Mumbai – an infernal, indifferent piece of alienating machinery – is the abyss in which Aamir discovers faith and the film’s got one of the most uplifting images of faith in my memory: Aamir embracing a suitcase during a moment of beatitude, itself couched inside unspeakable despair. Aamir treads a very fine line between sickening moral parable and cynical portraiture and does a remarkable stunt of balancing social determinism with spiritual individualism. Its philosophical virtue almost solely lies in its ending – in the mere existence of an ending – that calls out the intellectual fraud of films like The Terrorist (1998) and Paradise Now (2005).